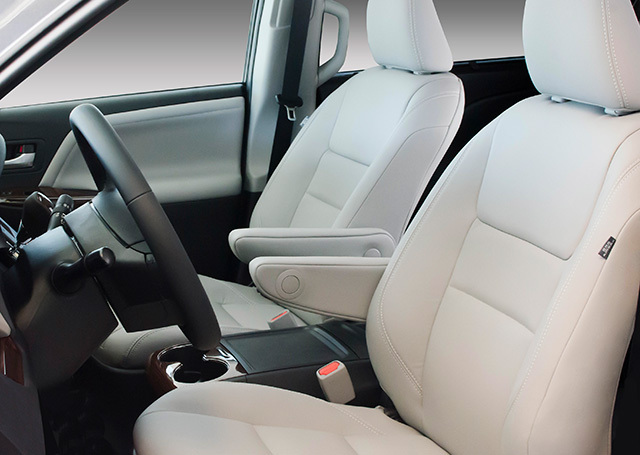 From compact to luxury cars, we develop optimum seating for any class of vehicle. We enhance the driving experience through superior riding comfort and performance. This is achieved through rigorous engineering and evaluation techniques. Through use of weight reduction technology, Toyota Boshoku is actively working with customers to improve fuel efficiency. These weight reductions are achieved without sacrificing functionality as evidenced by retracting ottoman, tip up seats with a removable/stowable 20% seat and one motion stow 3rd row seats. Implemented first use of Toyota Boshoku’s ‘Foam In Place Method’ in North America. 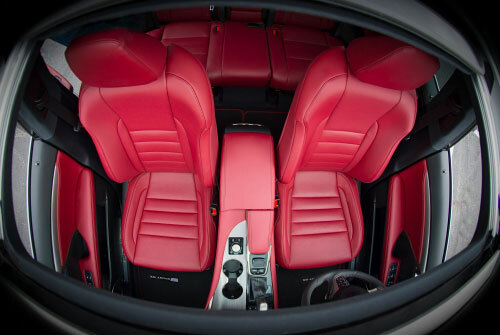 This provides for a more form fitting seat and is available in the F Sport trim level. Highlander seats implement the use of ‘3D Ribbon’ as styling contrast feature. In addition to the contrast stitching, these features makes Highlander stand out in a crowded SUV segment. 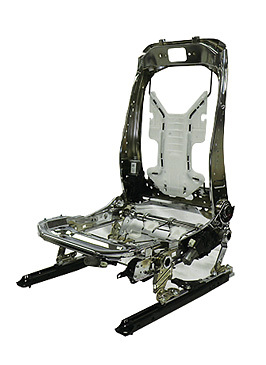 This seat frame was jointly developed by Toyota Motor Corporation, Aisin Seiki Co., Ltd., and Shiroki Corporation. Development sought to realize improved riding comfort and reduced weight. Also provides safety performance via a frame structure which reduces whiplash at the time of impact.